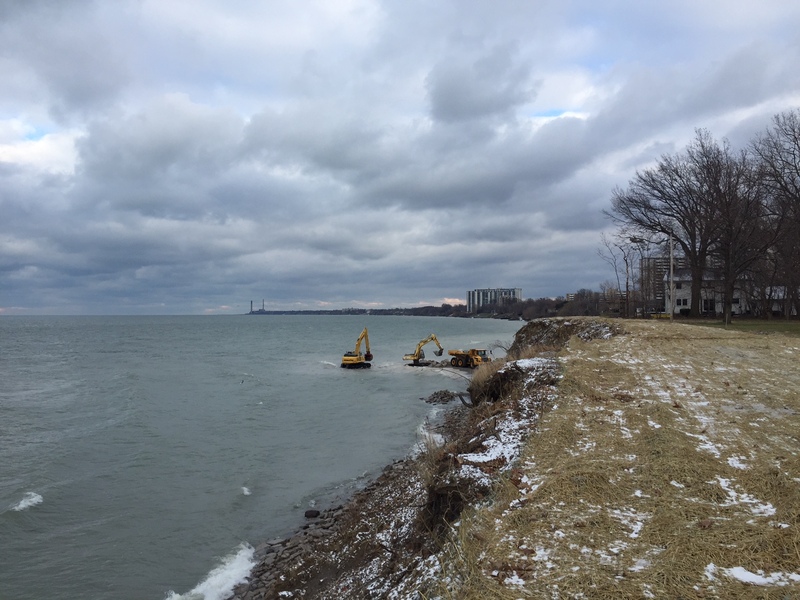 In 2009, Euclid's Waterfront Improvement Plan established a $30M vision for the municipalities' Lake Erie shoreline. 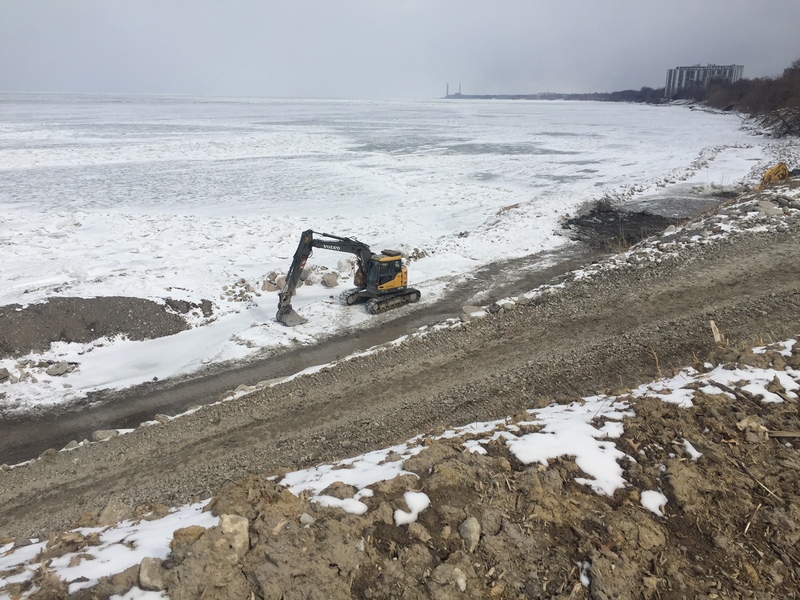 Phase I was the construction of the Joseph A Farrell Memorial Fishing Pier. 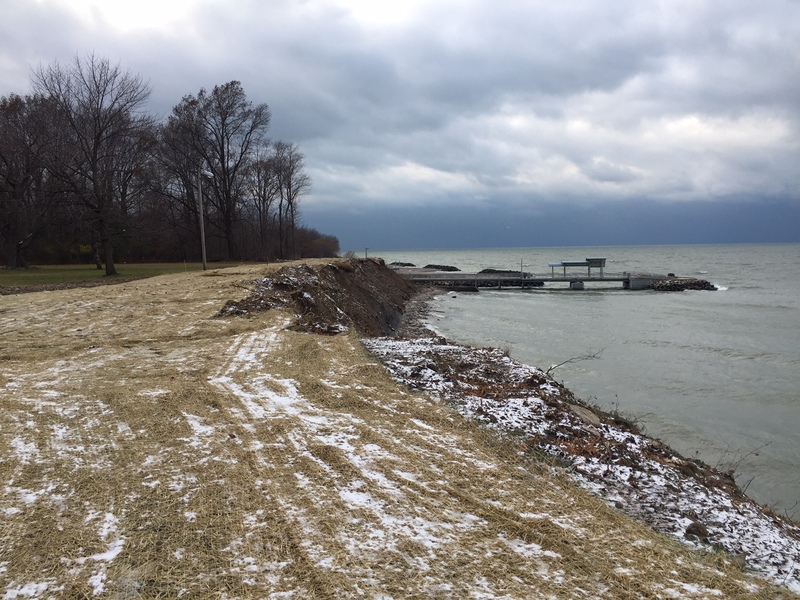 Phase II is a 3/4 mile public multi-modal, non-motorized trail, shoreline stabilization and habitat restoration project that will provide unprecedented public access to our region's greatest natural resource: Lake Erie. 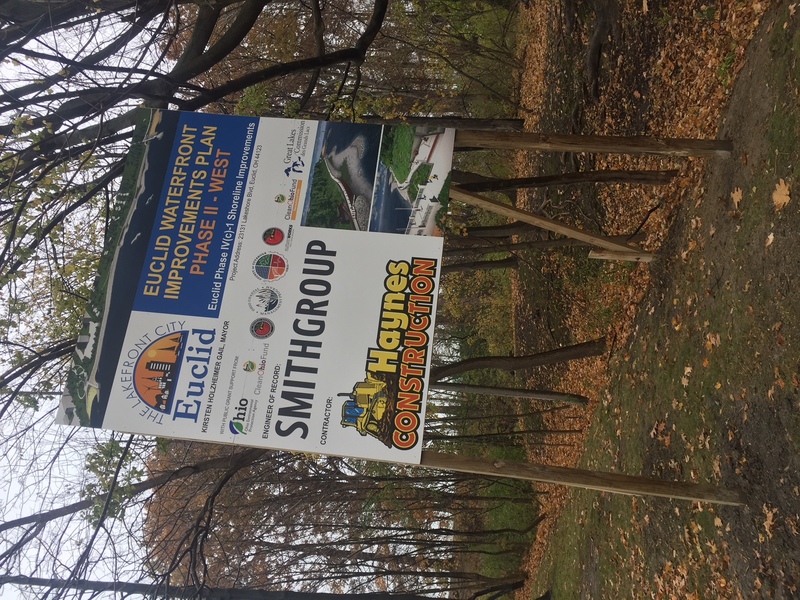 This historic, precedent -setting second phase of the Euclid Waterfront Improvement Plan promotes economic development, expands habitat, improves water quality, and mitigates erosion. 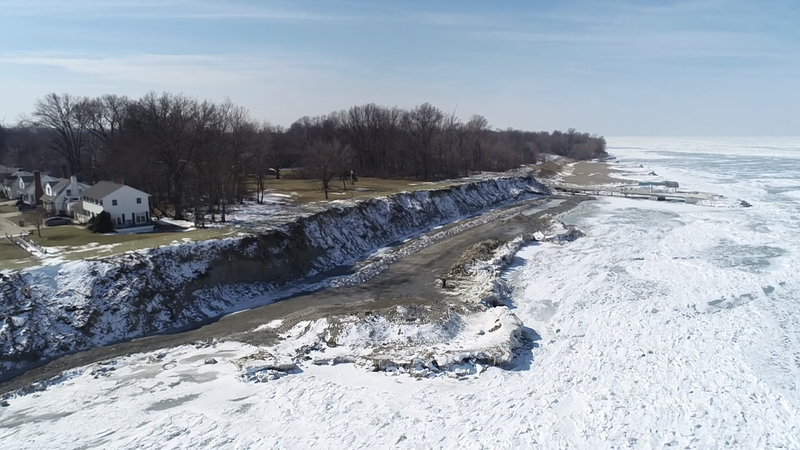 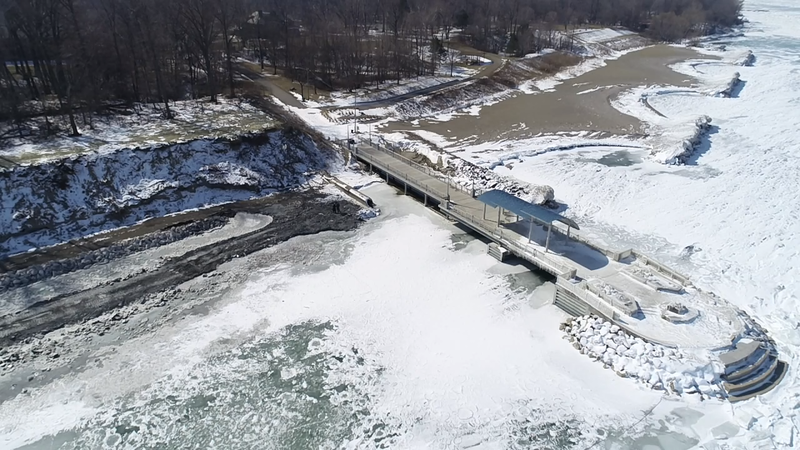 It also connects nearly 50,000 residents to new cobble beaches and recreational oppurtunities on the Lake because 88 individual littoral property owners signed easement agreements with the City of Euclid representing a unique/ public private partnership and strategy to increase public access and prevent erosion on Lake Erie. 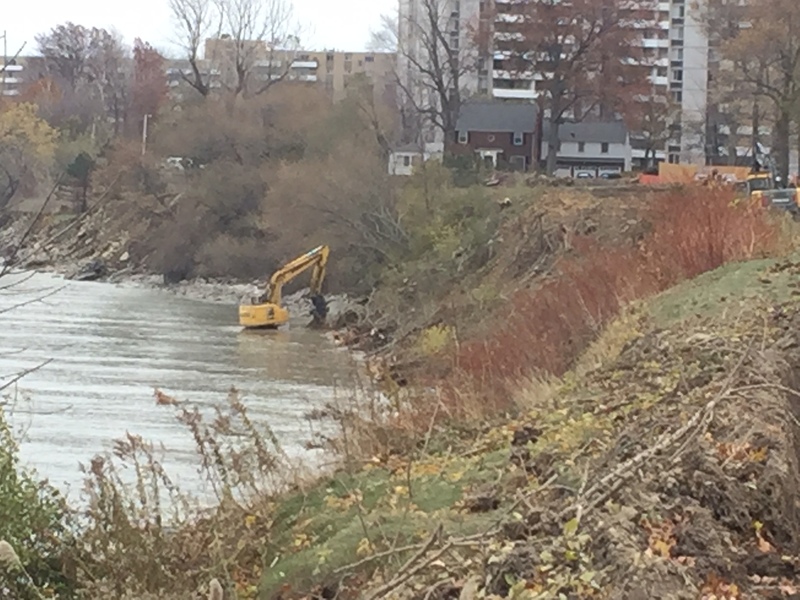 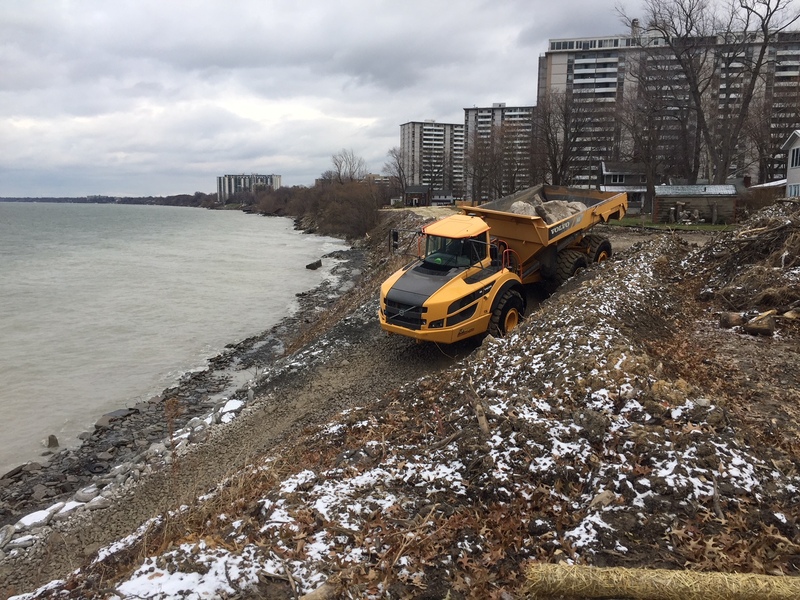 - Mark Haynes Construction began mobilizing at the City’s property just east of Luikart Drive off of Lakeshore Boulevard on November 1, 2018. 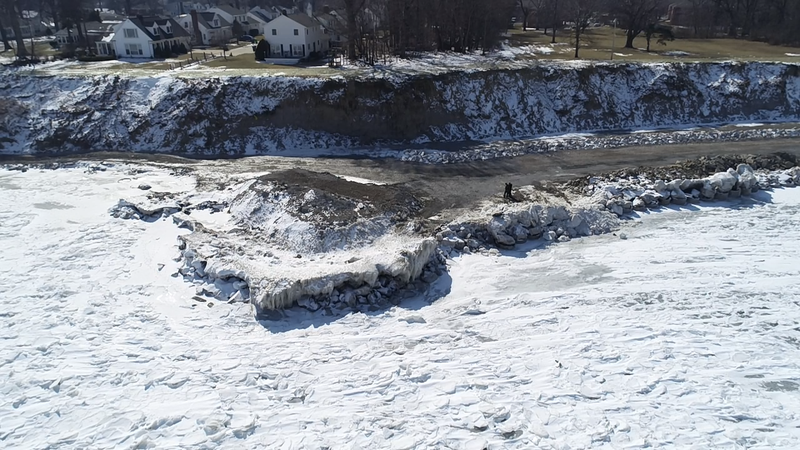 - Re-grading of the bluff will continue into Spring as the ground thaws, stabilizing the sloped bluff. 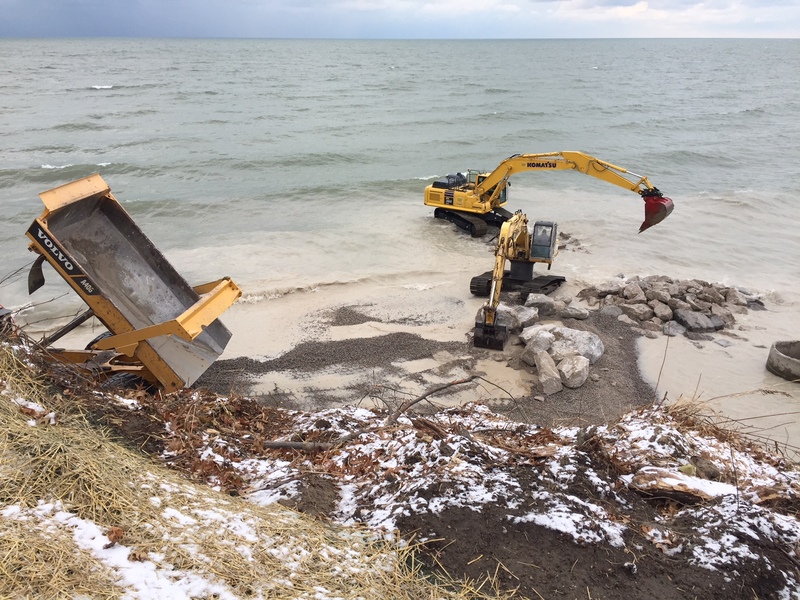 - Limestone rock continues to be trucked on-site and placed to form breakwaters and reventments. 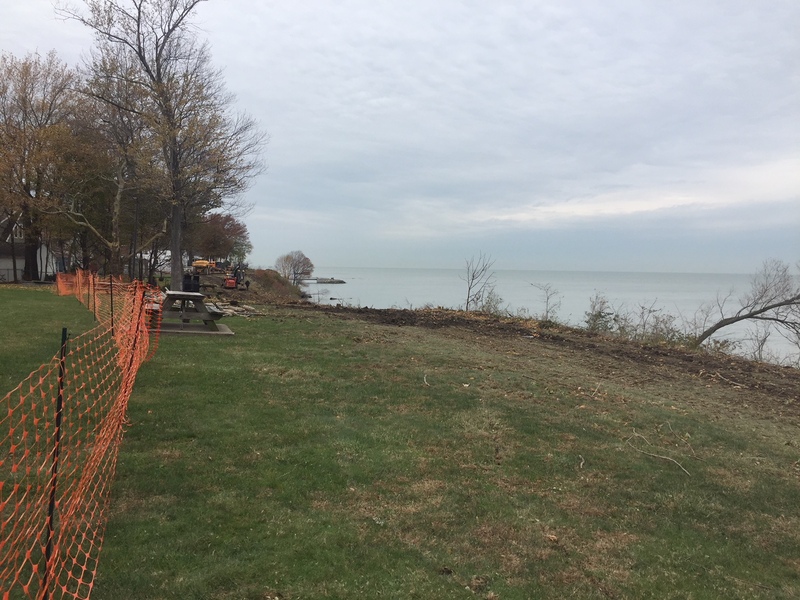 - Concrete work will begin shortly to form walls and the support structure for the walking and biking trail. 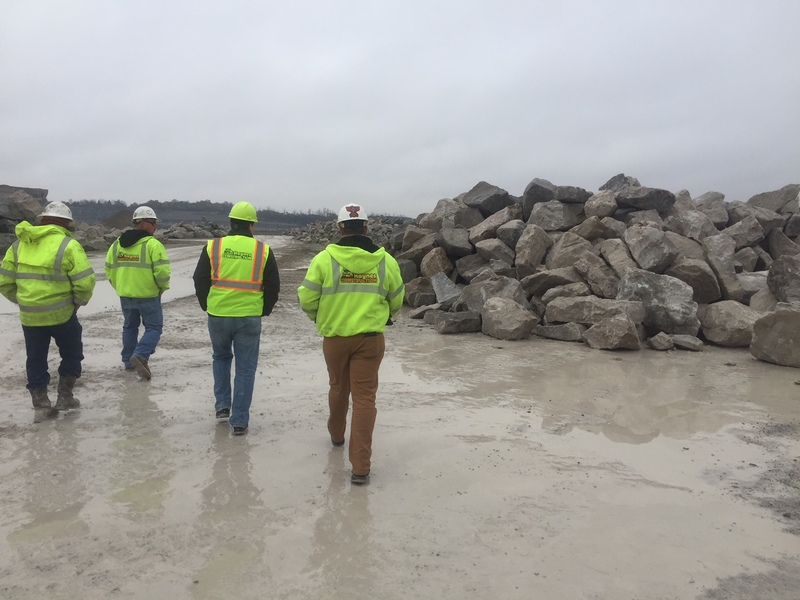 - This phase of the project is on target to be complete in Fall 2019. 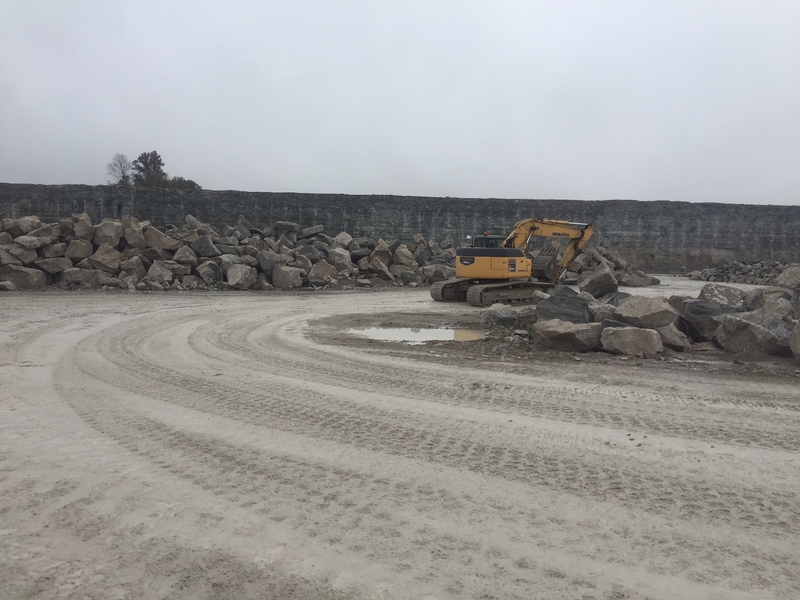 Created by CT Consultants, Inc.